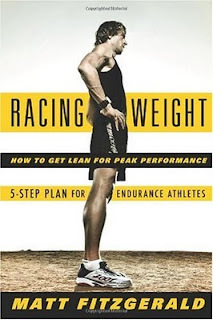 As a follow-up to Weber-Gale's AthleticFoodie company, I stumble onto a new book by Matt Fitzgerald called Racing Weight: How to Get Lean For Peak Performance. From what I read on amazon's "look inside" feature, this is a worthwhile read even if you aren't battling those last couple of pounds. I also checked out Fitzgerald's website, and found it loaded with great information. Garrett Weber-Gale is a Wisconsin born swimmer that won 2 gold medals in the Bejing Olympics in the 4x100 meter relay and the 4x100 medley. He is the first American to break 48 seconds in the 100 meter free style and the American record holder in the 50 meter. Gale has founded a company called AthleticFoodie . Great idea!- nutrition may be the most underrated and ignored component of any athlete's pursuit of excellence, whether it be running, swimming, or other sport (see this post on mile American record holder Alan Webb's diet, a runner who went into slump and did not even make the US Olympic team). If you are a runner having trouble coming up with ideas for dinner, check it out! This study analyzed runners as they traversed over a course that included uphill, downhill, and level sections. 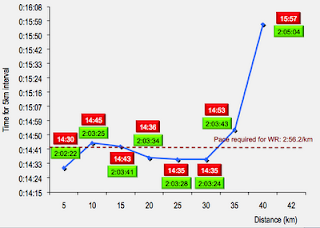 Results: Participants ran 23% slower on uphills and 13.8% faster on downhills compared with level sections. Speeds on level sections were significantly different for 78.4 ± 7.0 s following an uphill and 23.6 ± 2.2 s following a downhill. Speed changes were primarily regulated by stride length, which was 20.5% shorter uphill and 16.2% longer downhill, whereas stride frequency was relatively stable. Oxygen consumption averaged 100.4% of runner's individual ventilatory thresholds on uphills, 78.9% on downhills, and 89.3% on level sections. Approximately 89% of group-level speed was predicted using a modified gradient factor. Individuals adopted distinct pacing strategies, both across laps and as a function of gradient. Conclusions: Speed was best predicted using a weighted factor to account for prior and current gradients. Oxygen consumption (V˙O2) limited runner's speeds only on uphill sections and was maintained in line with individual ventilatory thresholds. Running speed showed larger individual variation on downhill sections, whereas speed on the level was systematically influenced by the preceding gradient. Runners who varied their pace more as a function of gradient showed a more consistent level of oxygen consumption. These results suggest that optimizing time on the level sections after hills offers the greatest potential to minimize overall time when running over undulating terrain. MY COMMENT: I can't imagine why or how they even came up with this design. I guess the conclusion is this: run your hardest on the flat portion AFTER the hills. What would you say to a training technique that resulted in a 5% improvement in running economy and an eye popping 21.3% improvement in time to exhaustion at maximal aerobic speed in as little as 8 weeks? Subjects in the study (well trained distance runners) were asked to perform half squats, lifting 4 sets of 4 repetitions maximum. In other words, the weight they were using was so heavy they could only do 4 at a time. While I still favor lighter resistance and more reps for distance runners, the results here are indeed intriguing. I'm still deeply moved when I read something about Jenny since her terrible accident in 2007. With a marathon PR of 2:37:04, Crain had her sights set on the 2008 Olympic trials when she was struk by a car on a routine training run near her home on the east side of Milwaukee. Suffering serious brain damage, she now struggles to walk 50 feet. Read the article linked above that was recently published in Runners World, and next time you go for a run, think of Jenny Crain. You can make a contribution to the Jenny Crain- Make It Happen Fund , with proceeds going toward Jenny's care. How do You Convert Minutes per Mile to Miles per Hour? There is a handy chart at FunFitnessSolutions that also gives you an equivelent pace by incline on a treadmill. Remember, you have no wind resistance on a treadmill so the energy cost is less than running outside. According to this chart, you need to elevate the treadmill to about 1% at running speeds in order to equal the same speed outside. Chris Chataway was a Smoker! Chataway set a world record for 5,000 meters in 1955 with a 13:51, but he is perhaps better known as one of Roger Bannister's pacers on May 6, 1954 when Bannister became the first to break the 4 minute barrier for one mile. MY COMMENT: Unbelievable! I am very curious if he smoked at all on race day, and also how good he may have been had he not smoked. The mile is unique in that it requires a combination of 50 percent speed and 50 percent stamina. In other words, in order to be a good miler you need to be able to run a respectable 400 meter as well as a good 5K. The one mile run has always held facination in the world of track and field. According to wikipedia, the first recorded world record was 4:28 by Charles Westhall back in 1852.
note: When I graduated from U of Wisconsin-Stevens Point in 1976 we were still running track races measured in yards and miles. Hicham El Guerrouj from Morocco last set the men's recored in 1999 running 3:43.13. On the women's side, Russian Svetlana Masterkova ran 4:12.56 in 1996. Roger Bannister was the first to break 4 minutes, running 3:59.4 on May 6, 1954. Watch this remarkable footage of the historic race! 1:50- an estimated 800 meter time that gives a runner an indication he has the tools to break 4 minutes, however according to the McMillan Running Calculator, a 3:59 mile is equivelant to a 1:47 800 meter and a 13:48 5,000. 4- the number of Americans that broke 4 minutes in high school- Ryun (1964), Tim Danielson (1966), Marty Liquori (1967), and Alan Webb (2001). 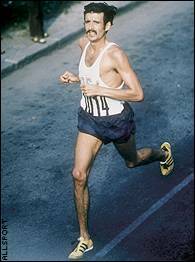 3:49.4- Time run by Kiwi John Walker in 1975, first to break 3:50. 3:49.78- Time run by Irishman Eamonn Coughlan in 1983, first to break 3:50 indoors. 3:58.15- Time run by Eamonn Coughlin in 1994 at 41 years of age, the only runner to ever break 4 after turning 40. 1,609 is the number of meters in a mile, so the high school 1,600 meter run falls about 9 meters short. From beginners to elites to sideshows, and whether your goal is 4, 5,6, or 7 minutes, the one mile distance remains a favorite measuring stick for all middle and long distance runners. Josh Cox 2nd in California! Who is Josh Cox? If you follow running, you know Josh is best pals and running partners with American superstar Ryan Hall. He also is the guy you see at the Power Bar display in those convenience stores. Maybe you've seen him on the cover of a running magazine, or perhaps you recall his appearance on the TV show Bachelorette. He also set the American Record for 50K (2:47:17)in Phoenix last year. Cox placed 2nd at the California International Marathon last weekend in a respectable 2:13:51 on a cold (high 20s) windy day (sarcramento bee). Kenyan Luke Kebet Runs 2:11:24 in Singapore Heat! Looking at the website, I see they wisely moved the start to 5:30 am, but the Singapore heat and humidity is still brutal even at that early hour. Ten of the top 11 finishers were from Kenya, with Luke Kebet leading the way in a stunning 2:11:24, outsprinting 2nd place finisher Johnstone Chepkwony (2:11:33). Not taking anything away from these guys, but the year I ran this course there was a wide sweeping left curve sometime after 20 miles, followed by a simple 180 degree turnaround and run back into the finish. At the turn we were instructed to run around a cone left to right and head back to the finish on the right hand side of the road, so imagine my surprise on the way out to see the 4 leaders coming back towards me actually off the road and running the sidewalk on my left! Clearly they cut several hundred yards, but who was I to turn them in with $15,000 at stake for the winner? I assumed they needed the money a lot more than I did. This year, Kibet took home 35K, not to mention a probable course record bonus. I just hope he ran the full 26.2. Sidenote: When I reached the cone at the turnaround and tried to follow the path of those Kenyans, I was instructed to "stay right!" I still somehow managed to run 2:59 and place 6th overall in the masters claiming 500 Sinapore dollars! 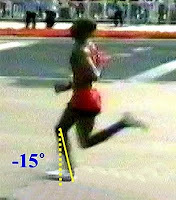 According to British middle/long distance coach Frank Horwill, Most coaches use the Stillman height/weight ratio table for distance runners. The average man is allocated 110 lbs (50kg) for the first 5 feet (1.524m) in height. Thereafter, he is allocated 5½ lbs (2.495 kg) for every additional inch (O.025m) in height. Females are allocated 100 lbs (45kg) for the first 5 feet (1.524m) and 5lbs (2.268kg) for every inch thereafter. Clearly not everybody who runs can fit into Stillman's criteria, then again not many of us are good enough to challenge world records either. But if you are over and not following the best diet, losing a few pounds probably won't do anything but help your running. In addition to his 2 Olympic gold medals from Bejing, he also owns a gold (10K) and silver (5K) from Athens. Bekele won three consecutive World Outdoor Championships in the 10,000 (2003-07) and the 3000 meters at the 2006 World Indoor Championships. He owns world records in both the 5000 (12:37.35) and the 10,000 (26:17.53). Bekele has an astounding total of 11 world cross country gold medals- 6 at 12K and 5 at 4K. On the track, Bekele has never lost at 10,000 meters. By the way, Haile Gebrselassie, who holds the world record for the marathon, stands 5'5" tall. Taking a Break From Long Runs?- Try This! So when you take time off, instead of a total layoff, do an easy warm up and 10 x 30 seconds hard, followed by a cool-down. As long as you don't gain any extra weight, you should maintain a high level of fitness and have a much easier time of it once you begin logging miles again. In this study, runners averaging 45 km per week (28 miles per week) dropped to 5.7 km per week of hard short runs (3.5 miles) and about 10 km (6.2 miles) of slow running, or about 10 miles a week total. MY COMMENT: I've always started my exhale every other time my left foot strikes. How Bad is Your Diet? Former FDA Commissioner David Kessler explores the reason behind our facination with "bad for you" foods. Watch this short video promotion of his book The End of Overeating. The International Journal of Sports Medicine published a study in June from researchers at Loughborough University in England that timed nine swimmers under three different race conditions: without taking any sort of supplement; 60 to 90 minutes after ingesting a sodium bicarbonate capsule; and 60 to 90 minutes after taking a placebo. 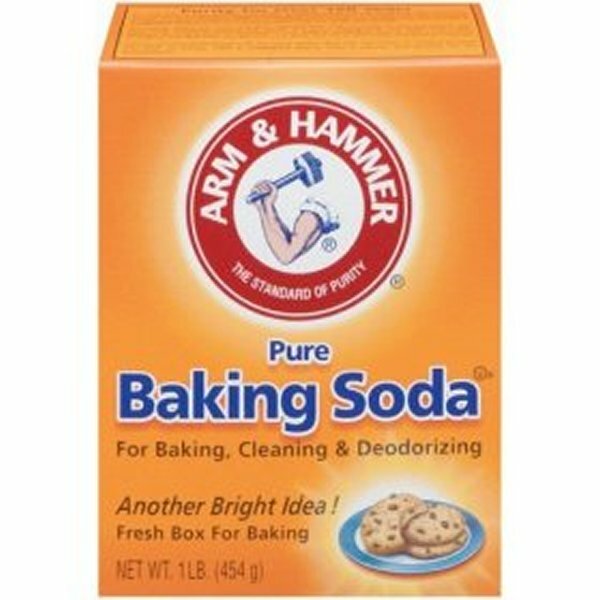 Eight of the nine swimmers were fastest after ingesting the baking soda capsule. MY COMMENT: According to Peak Performance, "The cumulative evidence suggests that bicarbonate loading may be of benefit in events conducted at near-maximum intensity for a duration of 1-7 minutes." How much? "The generally accepted protocol for bicarbonate loading is to divide the calculated total dose into five relatively even amounts and, starting three hours before competition, to stagger the intake at 30-minute intervals so that loading is complete an hour before the start. 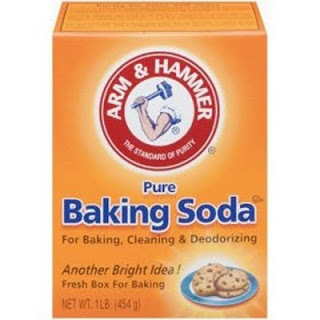 The scientific evidence suggests that a dose of less than 0.1g of sodium bicarbonate per kg of body mass is unlikely to be effective while, at the other end of the scale, a dosage greater than 0.3g/kg BM is unlikely to further improve the potential performance benefit. This upper limit may be slightly lower for females (0.25g/kg BM) since they commonly have a lower level of muscle mass." By my crude estimate, .3 gm /kg would be about 3/4 of an ounce for a 150 lb runner, mixed with water and drank over a 2 hour period. 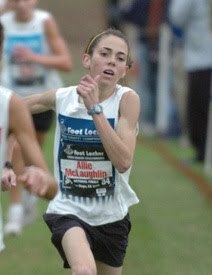 Fast forward to this year's NCAA meet, where Allie place 5th overall, beating Footlocker Champ Jordan Hasay convincingly by 22 seconds. She's at a good program at Colorado, and it will be interesting to see how she develops- I have yet to see a clip of her in college and wonder if her form has improved any. As you probably know I train in a cemetery. I have found this location to be the best for me to deal with winter for a number of reasons. 1. It is only 100 yards from my house. 2. It is cleared as well or better than the roads and certainly much better than sidewalks. 3. Running the 1/3 mile loop repeatedly, if there are any icey patches they can be anticipated. 5. As the temperature goes down I just put on extra layers, generally just cotton, not a particular fan of tech materials. 6. Going out the door is no big deal if it is cold or snowing. I don't like going out into heavy rain although if it starts during the run that's sort of OK. A coating of freezing rain makes running impossible. This seems to happen less than once a year though. 7. To a minor extent I time my runs to avoid a particularly bad weather event. -written by Ed Whitlock, who ran 2:54:48 at age 73! He routinely does 2-3 hours on his 1/3 mile loop. If that sounds boring, how do you think Michael Phelps feels swimming 70 miles a week or whatever he does in a 25 or 50 meter pool? Something tells me Ed does not own an iPod either. Where Are Your Hands During Running? I disagree- I got this quote from a popular on-line running site. If you can bend your elbows at 90 degrees and KEEP your hands at waist level at the same time, I'd like to see it. Many (but not all) top runners actually carry their arms with a greater than 90 bend at the elbow, keeping hands up high. A shorter lever arm requires less energy expenditure, so it makes sense to keep your elbows bent at 90 degrees or less. Check out your elbows and hands in the reflection next time you run by a window- if your hands are down by your waist, bend your elbows to bring them up. MY COMMENT: "It's not going to matter in the long run." A quote from the middle of this interview. Sounds to me that Barringer blames this on a build up of psychological pressure as opposed to a specific physical problem. Not the same, but certainly brings back memories of Suzy Favor Hamilton's dive with 200 to go when she got passed in the 1500 meter Olympic final at Sydney. Years later she finally admitted the pressure of losing got to her and she fell on purpose: Then comes what she calls the toughest admission of her life: "I was thinking about everyone, how happy they would be. And at that moment I had let them all down, so falling was the option. And I fell." Great article on Loroupe including her training prior to her New York Marathon victory in 1994, when reportedly she often ran up to 190 Kilometers per week (118 miles). Tegala is a former marathon world record holder and still holds records over 20, 25, and 30 kilometers. No not Frank- his son Alex. According to Frank, "he had the talent to go far." Now age 30, Alex ran 3:12- not bad for a "recreational" runner. I might be dreaming, but I seem to recall he did break 2hr 20min years ago. Traveling out of town or a different country for your next race? Check out airbnb.com for a place to stay. World class runner Chris Lukezic (3:33 for 1500 meters)has retired from competitive running at age 25 to work as Director of Marketing for airbnb. I love the concept- travel anywhere in the world for a race and stay cheap! ...five male and three female cyclists cycled in a steamy environment (34 degrees Centigrade, 55 per cent humidity) until they had dehydrated them-selves by about 2 per cent of body weight. After the exercise, the athletes ingested either a carbo-hydrate-electrolyte sports drink or else a standard meal comprised of 53 per cent carbohydrate, 28 percent fat, and 19 percent protein, along with water (at a volume 1.5-times greater than the amount actually lost during exercise). MY COMMENT: Eating after a long workout does much more than restock muscle glycogen! Joan Samuelson Runs 2:49 Marathon at Age 52! -Joan Samuelson running 5:02(about a 5:20 mile) or in an exhibition 1500 meter race last summer. Joan Samuelson, the 1984 Olympic marathon champion, now 52, finshed the New York Marathon last weekend in 2 hr 49:09- an amazing time considering her age plus the fact that New York is not known as a fast course. She also ran 2 hr 49:08 at the 2008 Olympic Trials. Amazing high level of consistency over so many years! Humans Are Built for Distance- Believe it or Not! On a hot day, the two scientists wrote, a human could even outrun a horse in a 26.2-mile marathon. MY COMMENT: Sounds good to me. Are Toe Nails Really "Dead Weight?" MY COMMENT: -nytimes article about a number of ultramarathoners that have had their toenails removed. I'd call it a last resort. "For a long time, I lacked the confidence to back off on easy days. As a result, my body couldn't absorb all the great training. Now I have the confidence to run easy on recovery days, so I can bring the fire for hard workouts and race days." "Running for a charity—in my case, World Vision—has revolutionized my running. Nothing compares to the feeling of going out on a training run knowing that I'm part of an effort that's touching thousands of lives. I hope to build this into a legacy that outlives my records. I think everyone should run for a cause." "I'm not the best at sitting down for long prayer sessions, but I do short prayers as often as I can. I pray when I do the dishes in the morning before I run. Whether I win a race or not, I always find that prayer gives me perspective and opens up a world of possibilities." Everyone else seems to call their afternoon shuteye 'naps.' I call them 'business meetings.' On my easy days, I schedule two hours for these meetings. When you're sleeping, your body absorbs all the hard work. It's ironic: one of the best ways to get better is to do nothing." Recently I've been following the progess of the Stevens Point Area High School (SPASH) boys cross country team (spashcc.com). Coached by one of my former college teammates Donn Behnke, SPASH has been one of the most consistently ranked teams of any sport in Wisconsin state history. Since he began coaching in 1977, Behnke's teams have won 9 Wisconsin state titles and finished runner up 6 times. Only twice have they not gone to state. They've also won the conference meet 32 times in 33 years. I like the way Donn maintains his team website, providing a nice weekly summary of how his kids ran (his program includes 100 boys including varsity and jv, give or take), and how he keeps track of average team and individual times. Donn has produced some outstanding runners over the years including 21 individual conference champions, at least 3 state champions that I can remember including Pete Skorseth, Keith Hanson, and Chris Solinsky (Solinsky and Hanson both went on to become NCAA champions). 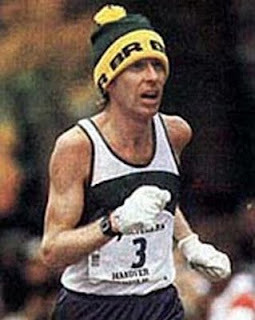 I still remember the controversy surrounding Hanson snubbing the University of Wisconsin's partial scholarship offer despite running a 8:54 two mile reportedly because Dan McClimon, the Badger coach at the time, thought Hansen had been running too many miles under Donn. Hansen chose Marquette instead, a school not exactly known for distance running, and went on to become an NCAA champion in the 10,000 meters and a 3-time All American in cross country. Ironic, because one thing I learned from Donn was the value of running slow. His kids may run some miles, but I guarantee not too many of them are run hard. One of the reasons behind Donn's success is his ability to start them young. His junior varsity hasn't lost a conference championship meet in 33 years, and routinely his JV kids can run varsity for any other school. The depth of his program is amazing. Finally, I like the fact that I'm seeing familiar names popping up from the old days-kids of Donn's former runners. I see Wayne Solinsky, Chris's dad, took 3rd in the 1978 conference meet, finishing right behind Ray Przybelski (I assume with a name like Przybelski, Ray is related to this year's Valley Conference champ Paul Przybelski). I also spotted the name of an up and coming freshman in northern Wisconsin by the name of Page Skorseth (any relation to Pete?). Finally, there is also Megan Duwell, an All-American and 10,000 Big Ten Champ who runs for Minnesota and happens to be Donn's neice (John Duwell, Megan's father, is married to Lynn, Donn's sister- and John was also a teammate of mine at UW-Stevens Point). Three white males in a black four-door vehicle swerved at the runners and at least one of the males yelled racial slurs. The vehicle stopped and a fight ensued, Adlam said. While the 18-year-old African-American student was being attacked, one of his classmates, 17, intervened. MY COMMENT: I can just imagine the anger they felt towards these idiots, but too bad they didn't just run away. This incident could easily have escalted into something much worse. This season, Seidel beat the reigning Division 1 state champion by more than 17 seconds at the Arrowhead Invitational. MY COMMENT: Molly Seidel of University Lake High School ran 5:02 and 10:49 to win Wisconsin division III state titles last season- as a 9th grader. What a talent! Shorts rolled up at the waist? Somebody explain? Good information provided by Adrian Marriott on discussions from the World Half Endudrance Seminar. Mariott is a 2:18 marathoner. One of the key exercises for George's athletes is the full squat and the goal is to build up to 2 sets of 6 reps with 1.5 times body weight. from Part 4- George Gandy pioneered a strength routine for middle distance runners later adapted by Sebastian Coe. Running a marathon soon? Marathonguide.com has a neat idea- you can print out your own marathon pace wristband that gives you the splits you need to achieve your goal time. Available in miles or kilometers. Just cut it out and waterproof with scotch tape. Great idea! Russian distance runner Liliya Shobukhova, known for her speed (world record for the indoor 3,000 in 2006) with a 14:23 PR in the 5K, has moved up to the marathon with impressive results- she won in Chicago over the weekend in her second attempt at the marathon distance, running 2:25:56 despite a slow 1:15 split at the halfway mark. According to one report, she ran 6:36 for the last 2.2 kilometers, or 4:48 pace for 1,600 meters! (Shobukhova ran 2:24:24 for 3rd at London in her first marathon). Does Coffee and Alcohol Decrease Bone Density? There is also some evidence that tea drinkers actually have better bone density than non tea drinkers. So Kastor is apparently going overboard- she should be switching to tea with milk and continue with her daily glass of wine. Enjoy! "He's got the ability in terms of strength," Salazar said. "It's a matter of teaching him to relax physically and mentally so he's running easier." MY COMMENT: Great run by Ritz but not unexpected the way he has been running lately. Should put a fire on the other Americans! Note: 60 minutes for 13.1 miles is 4:34.8 minutes per mile. Watch the race live this Sunday starting at 8 am EST at Universalsports.com. As a prelude to Chicago, you can also tune in and watch Dathan Ritzenhein run the World Half Marathon Championships at 4am EST. Should be a great day for running. FYI- the weather forcast for Chicago on Sunday calls for mostly cloudy with a high of 48 degrees F. WNW wind at 8 mph. Other than that wind, perfect! MY COMMENT: Mahon is referring to guys like Todd Williams, himself, Brad Hudson, and Alberto Salazar, suggesting a more structured approach with recovery was missing. I was part of that era and recall reading everything I could get my hands on about guys like Shorter, Rodgers, and Beardsley. He's probably correct- runners don't appreciate the benefits of proper recovery and some need to be restrained. In the U.S., we have no system. We have a collegiate system which does very well and everyone knows that around the world, but it is a terrible, terrible system once the kid graduates. And it’s all because we have college coaches who are paid to coach college and the professional demands are different and that’s where I think we’ve gotten lost. Bingo. Fortunately we have turned the corner now and are beginning to see some very positive results on an international level. The Injured Runner – A Balanced Solution is based on leading edge medical research conducted at Stanford University, the Joyner Sports Medicine Center in Lexington, Kentucky, the University of Wisconsin, the Umea University in Sweden, and Queensland University in Australia. These institutions have done extensive research on iliotibial band friction syndrome, knee pain, hamstring strains, Achilles tendonitis, and lower back pain. MY COMMENT: I'm always on the lookout for ideas on exercises to complement a well-rounded running program. This reasonably priced DVD looks to me like a well-researched approach to treatment and prevention of running injuries. 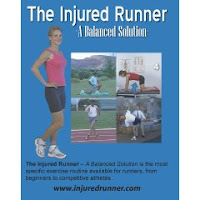 Note: The Injured Runner- A Balanced Solution website has some good information. A 2-hour easy run is simply not enough if you have to be out there for 3:30 on race day. So the walk/runs is an easy way around this. 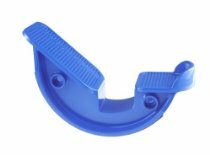 So these runners would break for mechanical reasons and not for endurance reasons. -Marius Bakken describing his marathon training program. He advocates walking during the long training runs but not during the race. It looks to me like he's got some pretty good ideas that make sense for the average runner- you can order his 100 Day Marathon Training Plan for $47.